Where is Magnolia Lake Clothing located? We are a small family business in New York, USA. 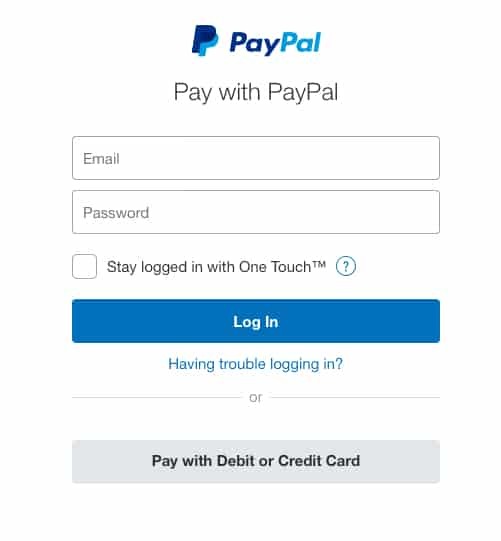 We accept payment via Paypal, but you don't have to have a Paypal account as you can also make payments from Visa, Master Card, American Express or Discover Credit Cards during your checkout. We offer "Ready to ship" as well as "Pre-Order" dresses and accessories and always provide a tracking number via USPS. Every Pre-Order Dress has it's own individual estimated shipping time. We recommend you sign up to our emailing list for future info. The emailing list link is at the bottom of our website. Please contact us directly for a "rush delivery" as additional fees will apply. These shipping estimates do not necessarily apply to international shipping times. Your security is our first priority. All data obtained through the checkout process is 100% encrypted. In addition to your payment options being secured via Paypal, we also take additional measures that make internet hacking attempts into our website practically impossible. What do I need to know before buying vintage? Our dresses (and other items) have been created out of a mix of vintage, reclaimed, and new materials, therefore, the exact fiber contents are not always known. The placement of the print and patterns vary from piece to piece as each item is cut from a different section of the sheet or bolt. Also note that vintage and reclaimed fabrics are not always perfect; there may be slight signs of age, but these are not areas of damage, they are a part of the fabrics history. We do our very best to examine and not use any area of the fabric that appears flawed. We are a handmade clothing company; we are not a factory. There may be slight imperfections in our fabrics because they are vintage. This is completely normal for handmade and vintage products. Disclaimer: Please be careful with tassels and straps on all of the pieces as they could pose a chocking hazard. The clothing is not fire resistant and unless specified they are not intended for sleepwear. Are you able to make minor alterations to my dress order? For our "Pre-Order Dresses" we are more than happy to meet your needs with length etc, when possible. For example, some clients have children who may be a size 2 upper body but are actually 3 and normal height. It is possible that we can make the upper dress a size 2 and the lower a size 3. No company to our knowledge can do this. We strive to have happy customers and feel free to email us if you have questions before placing your order. Look at our sizing chart and tell us if there are any alterations we should make to your dress upon checking out in the "Order Notes" section. Please note that we are not able to make alterations to our "Ready to ship" items. What is your store's exchange/ return policy? Due to the custom handmade nature of our items there are no refunds on our items "once they ship" unless we have made an error on our end. We offer exchanges if your order was damaged during shipping by the carrier (we will always provide a tracking number). If this is ever the case, contact us immediately and we will fix the problem. Please look at our sizing chart before ordering and feel free to ask us any questions before you place an order. Yes, select "International Shipping and Handling" when checking out. Email us with any questions regarding international shipping as needed before placing your order. Tell me about your Fabrics? We are a family company dedicated to providing Vintage Inspired Clothing using vintage fabrics, therefore, our stock for certain designs can be very limited, but this provides the uniqueness of our company. Unless stated otherwise on the dress itself, we recommend "dry cleaning only" for our dresses. Our attention to quality over quantity ensures longevity for many years, which is a lost art in modern clothing manufacturing. In addition, our goal to use vintage fabrics, lace and one of a kind embroidery makes our company a sustainable one. How do I add Bloomers to my Dress Order? Bloomers are sold separately and are available under our shop menu as an "add-on". We can provide you with a matching bloomer for your dress or if you order multiple dresses or would like a different colored bloomer, select accordingly and please mention the color in our "Order Notes" section when checking out. We do not always offer bloomers for certain "ready to ship" dresses. Can you do a Rush Order with 1 or 2 day shipping on Custom Dresses? This is possible depending upon our current demand. There will be additional fee's and you will have to contact us directly on the Contact Us page to make arrangements. How often and when are new items put up for sale? There is no set day of the week or month. The best way to stay informed of new items is by joining our "Emailing List" which is at the bottom area of our website. Being on our emailing list will give you notifications when items are on sale and additional special offers! I see pictures of Hair Bows and Bow Ties also on your website. Can I buy a matching Hair Bow or Bow Tie for my dress? Yes, under the SHOP link you can "add-on" hair bows and boys' bow ties. Select your size and we will make a matching Hair Bow/Bow Tie for your dress order. If you would like it in a different color, please select accordingly and specify different color when checking out in the "Order Notes" section, which is towards the bottom of the check out page. I live in an area where I would like Signature Confirmation Required upon receiving my items. How can I assure this? When checking out, towards the bottom of the check out page, there is an Order Notes area where you can specify that you would like Signature Confirmation Required upon receiving your order and also please add any other notes we may need regarding your order. If left blank, your item(s) will be shipped without a signature confirmation requirement.